In this post, we share the results of our best Knitting Kits research. Knitting Kits take the guess work out of knitting! Whether you're a beginner or you've knitted for years, there are knitting kits to suit all tastes. There are many Knitting Kits to choose from, we've researched what's out there and made some recommendations. Here is a list of the best Knitting Kits we’ve found based on hours of researching online. Updates - This post was last updated on the 17 September 2018. Why would you use a Knitting Kit? For those of you that are beginners, Knitting Kits are valuable pieces in a knitter's repertoire, for many reasons. All knitters, even the most experienced of us, were beginners once. Our lives can get very hectic, and trying to balance out all your responsibilities, is very stressful! That is why so many of us turn to knit, to help us unwind, and relax. To a knitter, knitting is like meditation to a Buddist; it helps to clear your mind, and refocus. Now that is all very well and good, but, often, our lives get so busy and so hectic, we cannot afford even to put time aside to knit! After all, as rewarding and de-stressing as it is, knitting is very time-consuming, especially if you have a massive project to complete, such as a scarf or blanket. Not only is limited time a factor, but also, another thing to take into account is the fact that, there's no doubt about this one. Knitting can be very tricky! Especially when a pattern is particularly complicated, or a project requires intricate stitches that you have not quite mastered yet. On some days, you might be ready to give up, giving how complicated knitting can be. However, that is where our glorious savior, knitting kits comes in! Knitting Kits are fantastic for beginners, for too many reasons to list, but here are a few main ones. - They save you time, as everything comes in a package, ready to use. - Also, there are specific knitting kits designed for beginners, so nothing is too complicated or time-consuming. As we have mentioned above, knitting kits are perfect for beginner knitters of all experience levels. To find one that would best suit you, we recommend starting with our reviews for Knitting Kits For Beginners. Then go forth, and wow us with your knitting capacities! Sometimes you want to have everything you need to finish a project delivered to you. Has everything included to learn the basics of knitting. Some of instructions may seem a little complicated to some. With all you need to start knitting your very own simple, striped scarf 🙂 Knitting expert and designer Carri Hammet will teach you about knitting tools and materials and all the basic knitting techniques. 250 yards of smooth wool yarn for your scarf project. Start with the scarf and then attempt the three bonus projects. Instruction book makes it easy and simple to understand the basics of knitting. Photos of whole hands make it easy to see how to hold the knitting needles and yarn. You can learn both English and continental styles of knitting. The step by step instructions on how to knit a scarf with the knitting needles and yarn included in the kit, is easy to follow. Knitting needles included are suitable for a beginner - made from bamboo with a smooth finish. Yarn included can sometimes fray. Yarn is a little thin. Learn how to make mittens, scarves, ornaments, sweaters, festive stockings and other knitted creations. Knitting needles are made of plastic. Knitting Pretty DVD 1: Basic Knitting - Celebrity knitting expert, Jill Moray, teaches the knitting basics and more. Learn how to knit, purl, cast on, bind off, as well as the Garter Stitch and the Stockinet Stitch. Karabella Aurora 8 Extra Fine Merino Yarn - This high-end Extra Fine Merino yarn is pre-shrunk and machine washable. Two (2) Skeins of worsted weight yarn per kit. US Size 8 (5mm) 9 inch Bamboo Knitting Needles - Takumi Premium Bamboo Knitting Needles are light weight, smooth and eco-friendly. Chibi Darning Needles - Gold-tone darning needles with large eyes and bent tips and a transparent case to store them in. Row Counter - Track your rows and stitches with this easy-to-read hand-held counter. Point Protectors - Keep stitches from sliding off your needles. All the above comes in a Knitting Channel Tote Bag. Has everything a beginner needs to start knitting, plus a few handy extras. Can go at your own pace. Need to have a DVD player to follow the instructions. Knitting Pretty DVD 1: Basic Knitting - Learn how to knit, purl, cast on, bind off, as well as the Garter Stitch and the Stockinet Stitch. Knitting Pretty DVD 2: Intermediate Knitting - Learn how to do Ribbing, Double Ribbing and Binding off in Ribbing. Learn multiple ways to Increase Stitches and Decrease Stitches, as well as how to Fix Your Mistakes. Knitting Pretty DVD 3: Working with Color - Incorporate colorful patterns and designs into your knitting! Learn how to knit colorful Vertical and Horizontal Stripes, the Intarsia and Fair Isle techniques. You'll also learn how to follow a Color Chart and create your own Yarn Bobbins. Has everything a beginner needs to start knitting. Instructional DVDs included to further your knitting skills and knowledge. Wookie Entertainment-Style Me Up Rainbow Knitting Kit. Use the colours of the rainbow to create an infinity scarf and beanie hat. Easy to follow instructions to master simple knitting patterns. Perfect for ages 8 and up. The kit includes a round loom and a rectangular loom. Looms are made from tough plastic. Yarn is chunky so designs are quick to complete. Some instructions seem difficult to understand. Young children will require help during some stages. Ever Wanted To Knit A Giant Chunky Blanket? Colorways Gallery Etsy Shop has a great range of Giant Chunky Blanket knitting kits available!! This kit has everything you need to make a scarf, infinity scarf, beanie hat, and other fun knitted projects. Detailed instructions are included. Perfect for kids who are keen to learn knitting and get to create fun knitted projects. Comes with both rectangular and circular looms. Perfect for knitting flat projects like scarves and circular projects like beanies. Younger children will require help during some stages. Easy instructions for kids to follow. Includes both rectangular and circular looms. Plastic needle may not last forever. Easy to use knitting loom to encourage kids’ creativity and imagination. Create a beanie hat, scarf, purse or other fun projects. Perfect for ages 7 and up. Once kids get started with a little help, it is easy to complete projects. Getting started can be tricky and children will require some help. This knitting kit can teach children to make a scarf, infinity scarf, wrist warmers, ponytail holder, headband, and so much more. Can make flat and circular designs. Will need to buy more yarn to make extra designs. Simple and easy to use instructions. Will need to buy yarn to knit the hat pattern included in the kit. 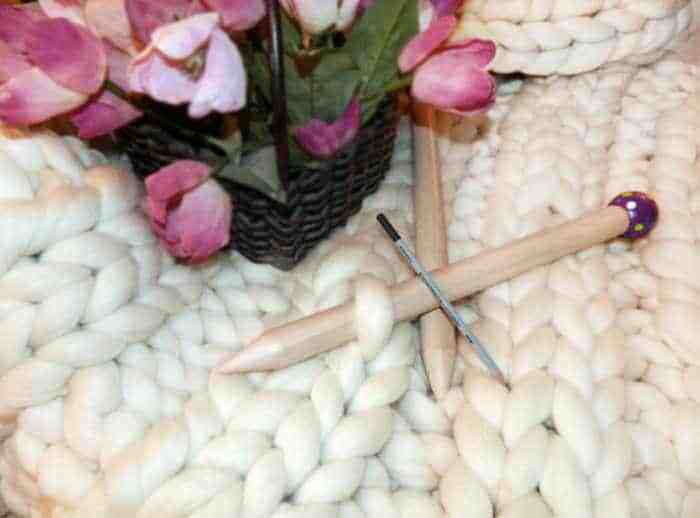 Set of 2 Round knitting loom kits. No matter water skill level, there is always something new to learn. Online knitting classes means you can go at your own pace, at a time that suits you. Hook and pick tool and easy-to-follow instructions in a clear carrying tote also included. On the larger looms the knitting can be loose. The loom kit comes with one long loom, two round looms, and one flower loom. A huge variety of projects such as squares for wash cloths, dishcloths, lapghans and afghans. Great for projects from baby hats and scarves to large adult hats. Comes with four looms 24 peg, 31 peg, 36 peg, and 42 peg plus hook and needle. The Knit Kit Tadpole Knitting Board Scarf Kit with DVD including the loom with metal hook, 2 balls of yarn, hook, and an instructional DVD. Great for knitters who have arthritis in their hands and not able to use traditional knitting needles anymore. Removable pegs are 5/8 inch apart. 1-2 stitch (pegs) equal 1 inch. Lightweight and Easy to hold with 138 pegs in an ‘S’ Shape. Slits on the pegs. They take your yarn up and under the head of the peg making it very difficult to grab the loop of yarn with your hook. The patterns in the spiral bound reference guide are a hat, baby blanket, wash cloth, and scarf! The loom is the perfect size for scarves and hats. Limited usage to small projects like scarves, or a panels to sew together for an afghan, maybe a infant hat. Instructions included might be confusing without the help of watching youtube. Suitable for intermediate loom knitters. 4 loom sizes but you can choose to have a large or small gauge loom. narrow design that make it great for transport. The pieces are interchangeable so you don't need to have a lot of different pieces to create any of the four sizes. The little tips (the head of the peg) are rounded which helps when pulling the loops off your peg. Loom feels a bit flimsy especially if you're a tight knitter. May need to buy a different hook as the one included is not as comfortable to hold. Loop is approximately 10" wide x 60" (25cm x 150cm). One Size Fits All - finished Cowl is very stretchy. This kit contains gorgeous yarn and a pattern for a slouchy hat. Lovely textured and colourful yarn. It is not a full kit with needles included. You will need to have a Size 9, sixteen-inch circular needle; Size 9 Double Pointed Needles (DPNS), a tapestry needle, and one stitch marker. Make a cute hat with a plush kitten topper. Clever way the animal heads attach to the hat, easily removable for laundering. Knitting needles, yarn needle are not included. This kit contains textured yarn and a pattern for a Cowl.Finished cowl is one size. It is not a full kit with needles included. To complete the package, you will need a Size 9, sixteen-inch circular needle, a tapestry needle, and one stitch marker. The set includes 6 sets of Double Pointed Needles US Sizes 0, 1, 1.5, 2, 2.5, and 3 / Metric Sizes 2, 2.25, 2.5, 2.75, 3, and 3.25 mm. Excellent variety of different sized DPNs for perfect for knitting socks. Tips of the needles can come off in some cases. Does not come with a pattern or yarn. Complete a knitted scarf in four gorgeous colours in no time 🙂 Easy to do and knits up quickly perfect for beginners. Once you start, you will be keen to find new projects to knit. What does this knitting kit include? A handy instruction booklet with photo illustrations helping you every step of the way. A pin to wear with your creation once you've completed your scarf. What does the knitting kit include? Not suitable if you don’t like the chunky look. Each Kit includes yarn and instructions needed for knitting your very own personalised stocking. Alphabet Chart included for personalisation. The directions are clear and the graphs are easy to use. Important Note: Yarn is 100% Pure Wool and NOT intended for the machine washing. Knitting needles not included in this kit. Gives a link for a video showing how to short row the heel which was very helpful. This kit does not come with knitting needles or other tools. Requires US Size 5 and US size 7 knitting needles, a beading needle, and a large tapestry needle. Kit includes 100% wool yarn, a full-colour chart, an alphabet and embellishments. Knitting needles not included - Requires size 5 straight or circular knitting needles to knit 7" wide & 21" long stocking. Googleheim Christmas Stocking Kit Here I Go. The stockings can be knit on a US 5 or 7 needle. If they are knit on size 5's, the measurements are 7" wide by 21-23" long. on a size 7 needle, measurements are 7.5" wide by 23 - 26" long. A full-colour chart to use while knitting the design, and alphabet. All embellishments, such as sequins, beads, bells, pom poms, etc., are included, and may be sewn or glued to stocking. The knitting needles are not included in the kit. Afghan loom is an "s" shaped loom that knits up to 60" wide in one piece! contains 198 pegs. Made of high grade plastic. Not very suitable for travelling as this loom is heavy. Needs to be supported on a table. To conclude, Knitting Kits for beginners are a great way for beginners to learn how to knit. Knitting kits for kids would make excellent gifts for young crafters. Knitting loom kits speed up knitting projects. Christmas Stocking knitting kits make a beautiful gift for family members. Soft and cuddly Baby Blanket knitting kits will be treasured. You will be sure to find knitting kits suitable for your knitting creation.